Olympia Auto Mall - Washington's Largest Selection of New and Used Cars: Meet the Fun and Feisty 2017 Mazda CX-3! Meet the Fun and Feisty 2017 Mazda CX-3! When the Mazda CX-3 hit the roads last year, auto media experts were immediately captivated by its good looks and superb driving capabilities. The 2017 Mazda CX-3 offers more of the same, with a few tweaks and additions to make for an even more pleasurable driving experience. As far as new cars for sale go, if you’re looking for a compact SUV that’s pleasing to the eye, feels great to drive and offers convenient technology at your fingertips, then the 2017 Mazda CX-3 is the vehicle for you. The 2017 Mazda CX-3 offers exceptional driving dynamics compared to competitors in its class. All models come with a standard 146-horsepower SKYACTIV-G 2.0-liter engine paired with a six-speed automatic transmission. 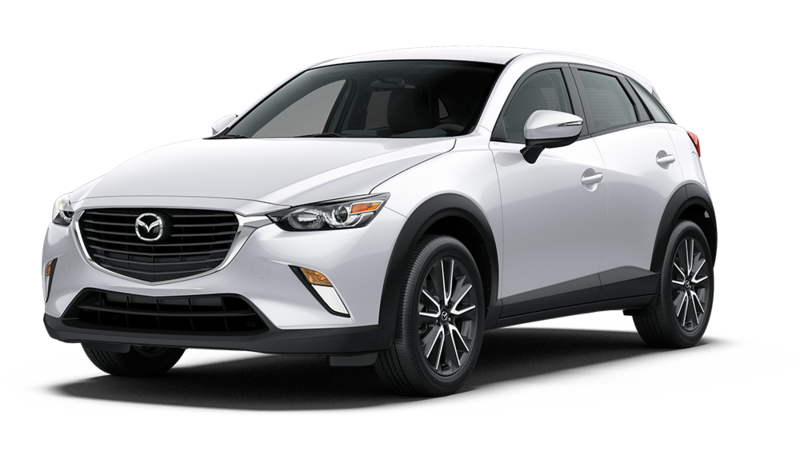 The 2017 Mazda CX-3 now offers 18-inch alloy wheels on the Touring and Grand Touring models. Most significant is the price drop on Mazda’s i-ACTIVSENSE package: Mazda Radar Cruise Control (MRCC), automatic Smart City Brake Support (SCBS) and Smart Brake Support (SBS), Lane Departure Warning (LDW), High Beam Control (HBC), automatic on/off headlights and rain-sensing wipers, making these additional safety features more affordable. Touring and Grand Touring upgrades include leather trim interior, heated door mirrors, 18-inch alloy wheels, LED headlights and Blind Spot Monitoring (BSM) and Rear Cross-Traffic Alert (RCTA) - to name a few. To find a Mazda that make you fun and fiesty, visit Olympia Auto Mall and test drive the 2017 Mazda CX-3 today.